Why spend your precious time with long Google searches, trying to locate the very best of Corfu for your clients or super yacht charters? Whether it’s villas, hotels, where to eat or simply a supermarket in Corfu, look no further! Take it from a local and professional in the industry for almost 20years. After working with VIP clients in Corfu for so many years we understand what they need and expect. Our experience has never failed to satisfy the expectations of villa & super yacht guests. Search no more, here is an essential list that will save you time. First things first! Finding the right accommodation in Corfu is of utmost importance. Whether you’re looking for an exclusive luxury high-end hotel, somewhere with privacy as a priority or a family hotel right on the beach, we will ensure our selection will exceed your guests’ expectations and will please the most demanding customers. This luxurious hotel is located in the southern part of the island, on top of a magical bay. It offers a wide range of deluxe hotel services, as well as recreational holiday activities and sports. Guests can choose from a variety of accommodations suitable for every need and it is ideal for families. This is the newest 5 star hotel in Corfu, owned by the award-winning Ikos Resorts. Their reputation for offering a personalised and premium quality service will guarantee an unforgettable stay. Twenty three verdant acres with a beachfront setting ensures that every one of the 411 luxurious rooms, suites and villas come with views and an ambience like no other. It is centrally located, which makes it an ideal choice to explore the bay on the north east coast as well as Corfu Town. An excellent hotel set on a private peninsula with Italianate Gardens. It offers 5 star service and sea view accommodation including Deluxe Guestrooms & Imperial Family Suites. Perfect for relaxation, since it features private coves with 3 sandy beaches, 1 pebbly beach and 1 dining beach. This is a place for people who want an accommodation that combines luxury and discretion. This cosy hotel offers its guests not only a genuine hospitality experience with tons of accommodation options, but also serene views in a lush garden by the sandy beach. It is the ideal location for pure relaxation! And for agencies who are not based in Corfu and need inspiration to select the best villa to cater for their clients that seek indulgence and privacy. You can choose the best luxury villas in the North East coast of Corfu; from pretty cottages that sit on the mountainside to villas on the water’s edge. This list contains the key to tranquility, since Corfu’s spectacular north eastern coastline is a haven of white pebbly coves, glittering turquoise waters and stunning views. A luxurious villa situated in San Stefano, in one of the most idyllic locations in Corfu. This beautiful villa has its own private bay, surrounded by ancient olive trees and edged with crystal clear turquoise waters. It can host up to 14 people and it features a fully equipped beach house, heating pool, BBQ, boat mooring, and so many more features that make it a great option for those who love to live in opulence! A place made for those who seek after relaxation and a resort away from the modern life frenzy. Located in Sinies, set on the southeast flank of Mount Pandokrátor and about three miles (5km) above the coastal corniche route at Kéndroma, the Rou estate was described as “the No. 1 Best Mountain Escape” by Harper’s Bazaar. It consists of 13 two to four bedroom Villas and it manages to combine new and old in a unique Corfiot traditional design in a setup of unspoken natural beauty. This luxury property in northeast Corfu is located in Kassiopi on a beautiful promontory about 40 kilometres from Corfu Town. With its spectacular landscape the Kassiopia Estate provides an utterly luxurious setting for a truly unforgettable experience. It consists of two Villas; the elegant and lavish Cassiopeia House, which allots a sensational pool and entertaining area, can sleep up to 14 people. On the other hand, the mesmerizing Atolikos House is a place of total relaxation. Atolikos House has three bedrooms equipped with an en-suite bathroom and shower, Satellite TV, Large open plan sitting room and dining area with lots of facilities that contribute to the contemporary comfort and convenience this villa offers. Holiday means time to relax and have fun. Pazuzu beach bar is the place you’re looking for! 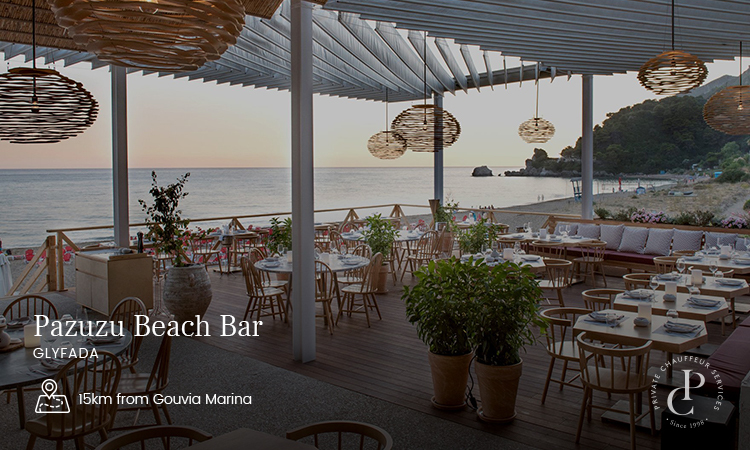 Situated in Glyfada beach, known for its golden sands and cool waters only 15 minutes away from Corfu Town. Why there? Because it is a well-organised and great quality beach bar, where you can hire sunbeds and towels, relax and enjoy the sun in one of the most fabled beaches of Corfu. 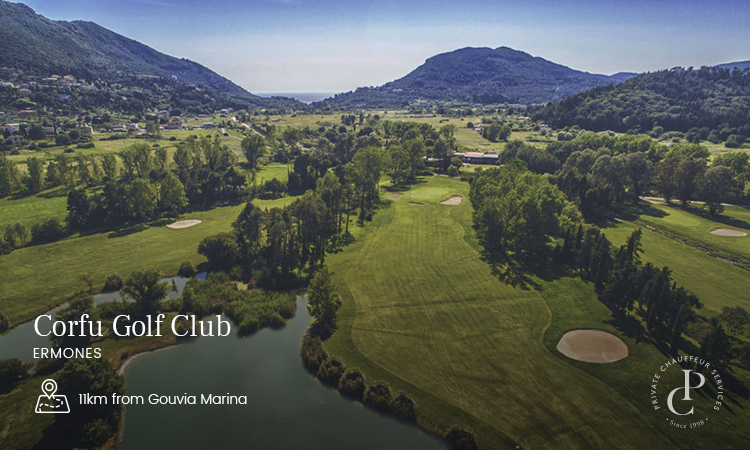 And those who love Golf will find what they need at Corfu Golf Club in Ermones. A beautiful valley that hosts a 18-hole golf course! Designed by the famous Swiss architect Donald Harradine, who combined the natural beauty of the Ropa Valley with his own interventions in a harmonious way. Kids also need to unwind and they will sure do in Aqualand. 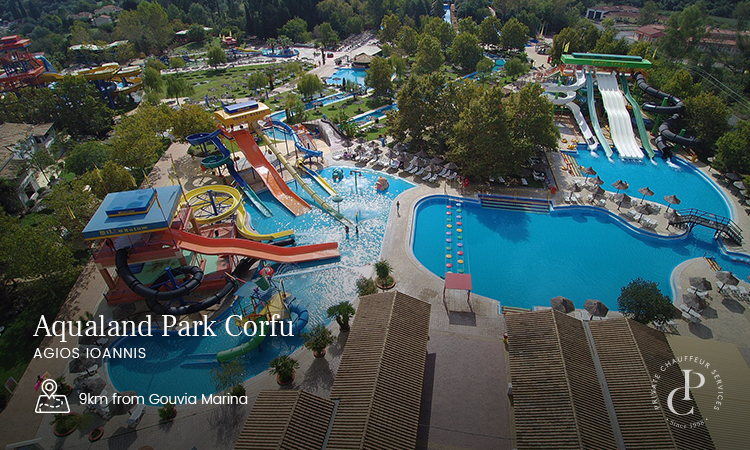 This amazing and adventurous water park is located in the heart of Corfu, easily accessible from all parts of the Island. Aqualand is equipped with all kinds of water attractions and has many facilities to make every child and adults day unforgettable. They offer high-quality services, and that is why it is acknowledged to be one of the best water parks in Europe! Eating out in Greece is a way of life. So while in Greece, one can’t miss out on Greek cuisine. Corfu offers a wide range of dining options from gourmet restaurants to traditional local tavernas with pure Mediterranean dishes. Admittedly, Corfiot gastronomy has its own individual identity. The 400 years of Venetian occupation have had a great influence on the island’s culture and cuisine. 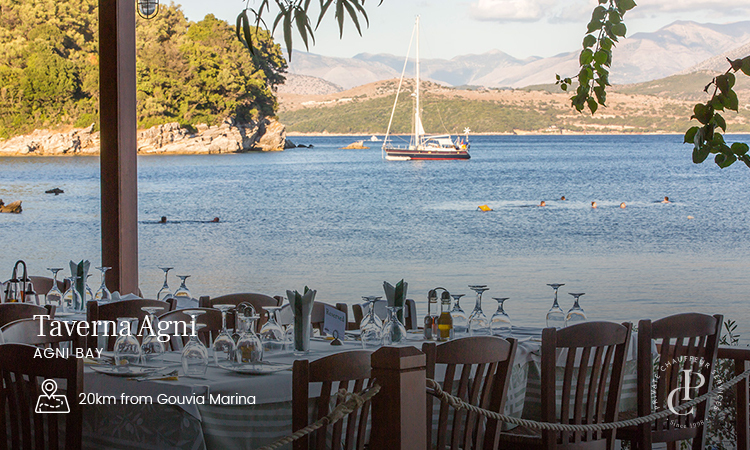 Avli is a Greek Traditional Restaurant, located in Garitsa bay. 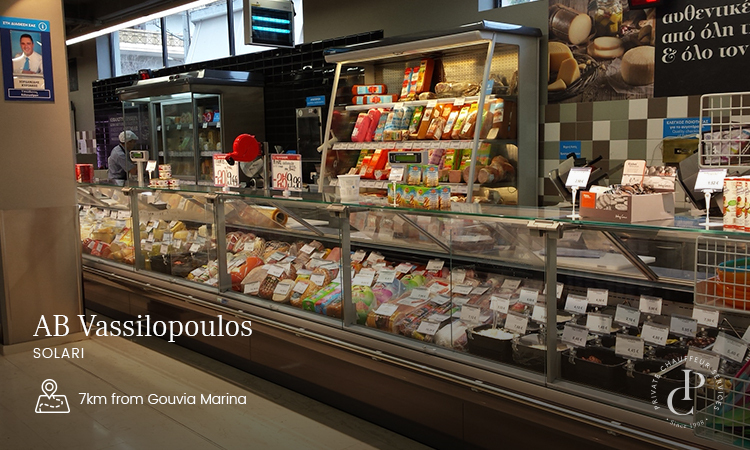 Special and traditional recipes made of the purest ingredients will bring you the secrets of Greek taste. 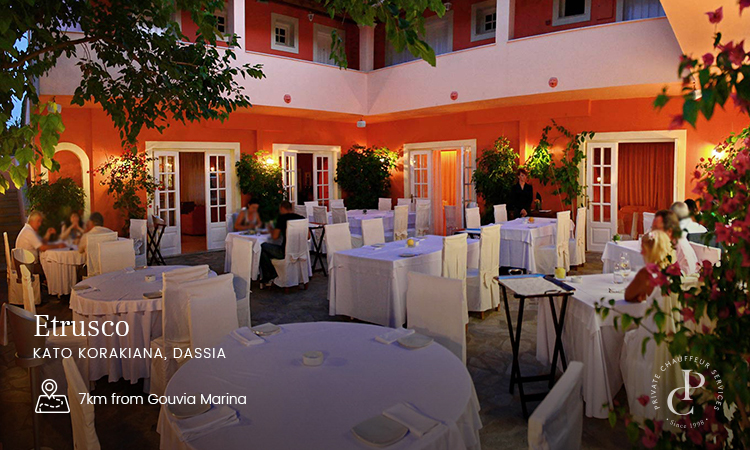 This is a very renowned restaurant in Corfu, famous for the quality and the variety of its flavours. Rex is a restaurant-landmark of the Old Town of Corfu, where you can try plenty traditional dishes that will please even the more selective palate. 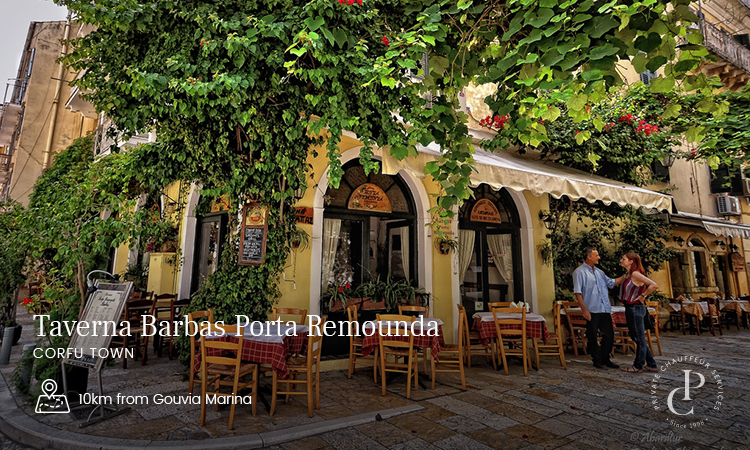 A traditional taverna situated in the picturesque narrow streets of the old town. Great environment and delicious servings make for an ideal place to taste what Corfiot cuisine has to offer. Allow chef Aristotelis Megoulas, to introduce you to the secrets of modern, Greek cuisine, as you enjoy the beautiful summer evening with outside tables. Excellent gourmet dishes, exemplary service, exceptional environment. Make the most of your day out on the northeast coast of Corfu! 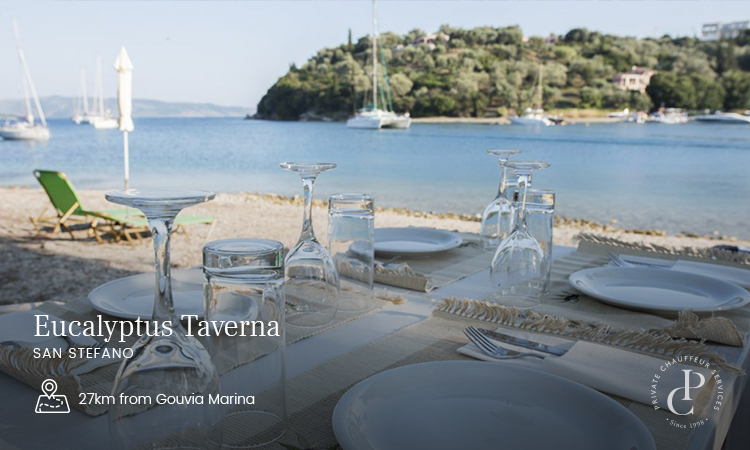 Arrange a trip to the north side of Corfu and enjoy fresh fish or traditional Corfiot dishes on the water’s edge. It’s a 40-minute road trip with lots of beautiful scenery to enjoy along the way. But if you want an unforgettable experience, you can always hire a boat or sail to the surrounding northeast bays of Corfu, nicknamed Kensington-on-Sea. The best places to moor is at the jetties of San Stefano & Agni Bay. 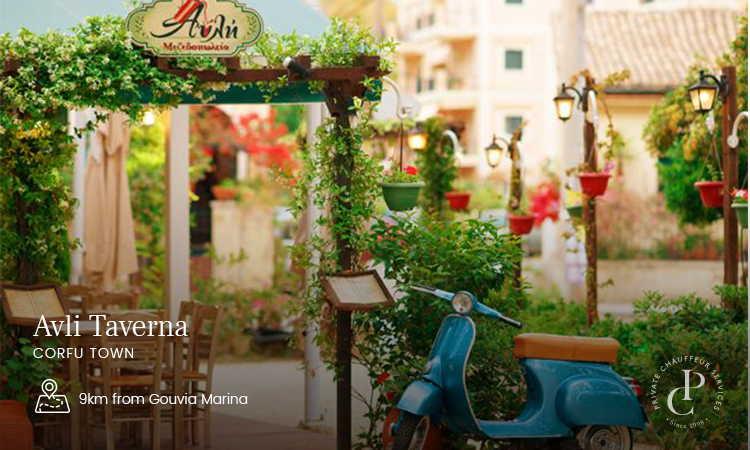 From the warm and friendly welcome, to the magical beachfront setting which is accompanied by delicious food, it is no wonder that Taverna Agni has become one of the most recommended Tavernas along the North-East Corfu coast. It is located in Agni bay and best known as the ‘foodie paradise’, since it never ceases to amaze every food lover. 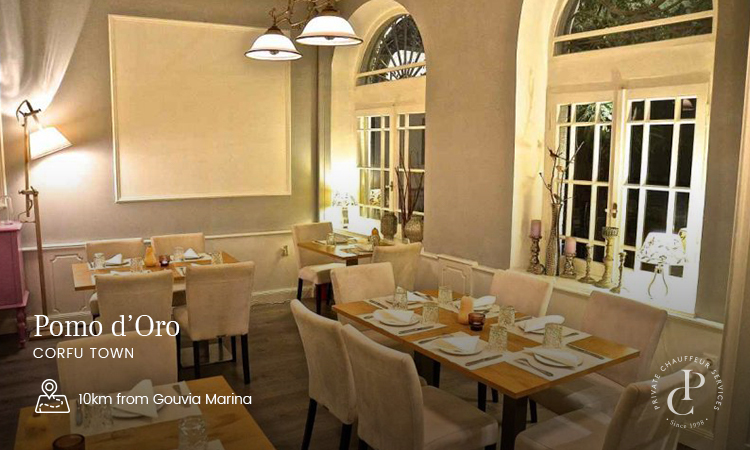 A gem of gastronomy owned by the renowned chef Ettore Botrini. Etrusco is an award-winner among the best restaurants in Greece that serve unique dishes that highlight the relationship between the raw nature, produce and our cultural history. The seaside tavern Eucalyptus is located within the traditional olive press of the Petropoulos family. This place operates as a tavern since 1983, offering customers traditional recipes from past generations prepared with gardening products, cultivated by local producers. For anything you need you can always go to the AB supermarket. It offers a great variety, as well as a delicatessen counter, that insures that you will find anything you are looking for. Ideal for guests with an international palette! Have an appetite for fresh fish? Fish is an important part of the Greek diet. So we know where to find the best in order to astonish your guests onboard. In the heart of the Old Town, beside the New Fortress, you will find Fish Mongers. 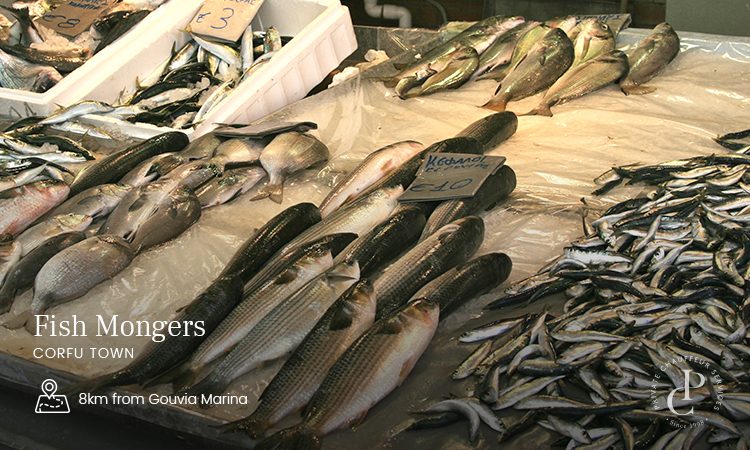 This fish market is open daily from 8am and it offers an amazing selection of fresh caught fish to choose from. Sometimes those sneaky surprises can come up without our control. But there is no need to worry, since we have you covered with the very best doctors and emergency services Corfu has to offer. Whether you’re departing or arriving in Corfu book your hotel, port or airport transfer for up to 7 persons. See the most beautiful and hidden corners of Corfu on our half and full day tours.